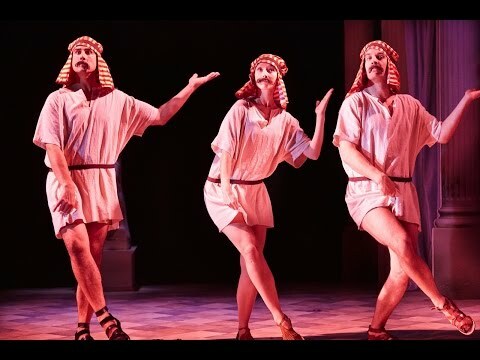 ACTOR 1 - Melchior, Ben-Hur, Nubian dancer. ACTOR 2 - Caspar, Archangel Gabriel, Messala, Jesus, Galley Captain, Roman Captain, Galley Slave 2, Nubian dancer, Valentinyo. ACTOR 3 - Mary, Tirzah, Esther, Ancient Slave, Nubian dancer, Catalinya, Naboth, Mrs Pilate. ACTOR 4 - Balthasar, Sara, Centurion, Slave-driver, Quintus Arrius, Pontius Pilate. 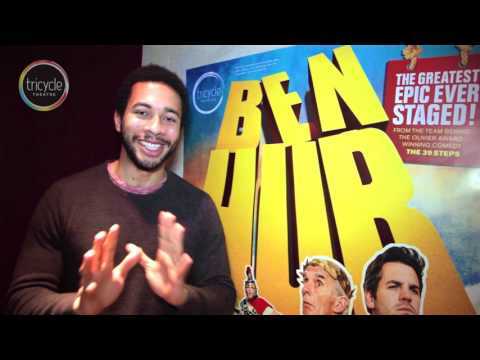 Ben Hur premiered at the Watermill Theatre in Newbury, UK in July 2012 under the direction of Sean Foley and Patrick Barlow.